We offer drone services for Film Production, Real Estate, Commercials, Promotional Events, Legal, Thermal imaging, Site Survey’s, and just about anything that needs a Aerial shot. Our UAS (Unmanned Aircraft System) pilots have had the training and have passed the FAA Part 107 Drone Certification. We operate within the guidelines of the FAA, and work in a safe and courteous manner. Drone shots add a different dimension to a video and can unveil a different look and feel. It is used in Law Enforcement, Agriculture, Infrastructure Maintenance and Inspection, Advertising, Guided Tours, Media and Film, just to name a few. Although this is a new technology for us to add to our services, we keep current on continuing education and monitor changes in the industry. We are also Licensed and insured. Our role is to capture the message that our clients want to convey; and in order for us to achieve that, we involve our clients during pre-production. Firstly, we talk to our clients to understand their concept and the objective of the video. We converse with them so that we can structure the video based on what they want. This phase is important as it helps us bring all ideas together into a coherent plan and set the overall vision of the project. The pre-production phase also tackles the possible locations and the intended materials to be used. The flow of the video is discussed and organized so that when production commences, the process can run smoothly. For more elaborate and lengthy videos, we may use methods such as storyboarding to pre-visualize the sequence of each event to be portrayed in the video. After establishing the concept and setting the layout of the video, we proceed to the production phase. This is when the cameras roll. In this phase, we get the necessary equipment ready after which we visit the chosen site to prepare the venue for the shoot. Every detail that is necessary to the production process is checked and double checked. Lighting for example, is one of the main points to consider. 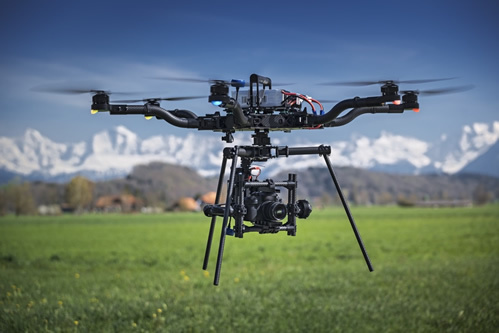 Even the daily weather report should be taken into account especially when using drones for aerial filming, or if the chosen locations for the shoot were outdoors. In certain productions, we may also shoot B-roll as an alternative footage to make the finished video even more dynamic. Our clients are also highly encouraged to be on site during this phase so that the production itself remains true to what the client wants. The final phase of production or the post-production stage involves video editing. It includes a meticulous process of refinement to make sure that the end-result meets the standards of our company. This phase is where we really become creative. We use the latest programs and state-of-the-art software to achieve the desired results. We work on the raw footage to produce a video that’s clear in terms of resolution and sound clarity. The video also undergoes light and color adjustments, music scoring, voice-overs, video graphics, and animation if necessary. On top of that, special effects are added to certain portions of the video that could not be incorporated during the production phase. These edits all come together to make the video really come to life. All throughout the different project phases, we aim to involve our clients as much as possible. The videos we are making are considered to portray our clients’ message and vision. Hours are 8:00 AM to 5:00 PM Mon. - Fri.
and by Appointment after hours and Weekends. Copyright © 2018. One World Media. All Rights Reserved.